By 1854, the two leading seaside resorts of Sussex - Brighton and Hastings & St Leonards - were able to support permanent photographic studios because of the increasing number of seasonal visitors and the rapid expansion of the towns' populations which followed the arrival of the railways. [ Brighton Railway Station opened in 1841, Hastings Railway Station opened in 1852 ]. By the end of 1854, there were nearly a dozen photographic studios in Brighton and at least three photographic artists working in Hastings. In the middle of the 1850s, the small populations of the towns and villages in Mid Sussex could not provide enough custom for a resident photographer. The photographs that were produced in Mid Sussex during this period were the result of either a) enthusiastic amateur photographers who happened to be touring the area, b) itinerant photographers passing through a particular town or village during a tour of Sussex, c) photographers from London who had been appointed to carry out a particular project, or d) a professional photographer based in Brighton who was hoping to expand his range of photographic views or carry out commissions for the local gentry. In the early days of photography, only professional photographers had to purchase a licence to take portraits using the photographic processes invented by Louis Jacques Mande Daguerre (1787-1851) and William Henry Fox Talbot (1800-1877). Amateur photographers were free to experiment with landscape photography and some early daguerreotypes and calotypes showing views of Sussex have survived. The West Sussex Photographic Database, for example, has a copy of a very early photograph of Keymer Church and has a record that the view was taken in 1846. Amateur landscape photographers exhibited their work at early photography exhibitions, such as that held by the Society of Arts in December 1852. Amongst the 784 exhibits at the Society of Arts show of 1852 were views of Arundel by Samuel Buckle (1809-1860). In January 1853, a group of amateur and scientific photographers established The Photographic Society of London and annual exhibitions were held throughout the 1850s. Between 1854 and 1860, the Photographic Society of London exhibited photographic views of various locations in Sussex, including Bramber, Brede, Shoreham, Rye, Sompting, Herstmonceux, Steyning and Midhurst. It is likely that amateur photographers were also producing photographic views of places in Mid Sussex during the 1850s. The landscape artist James Baker Pyne (1800-1870), for instance, produced a number of photographic views of Sussex around 1855. "Mr Craig, of Margate, is paying us a visit with his photographic apparatus. Several gentlemen have had their portraits taken, and the specimens we have seen show a truthfulness and faithfulness almost impossible to surpass, while the new daguerreotype system practised by Mr Craig bring out the light and shade to perfection, especially in his sketches of scenery which are splendid. We may call the view of Dover Pier and the Ship Hotel as the top of the art." " DEATHS ... At Cuckfield, on the 31st ult., Mr John Craig, of Ramsgate, photographic and daguerreotype professor, aged 39. Mr Craig had only been staying at Cuckfield a few weeks." It is likely that several itinerant photographers passed through the towns of villages of Mid Sussex during the 1850s, but their presence is not recorded in census returns or newspaper advertisements ( the usual evidence of the existence of early professional photographers) and so their details remain unknown. It is only because John Craig was unfortunate enough to die on his travels that we know of his origin and movements. 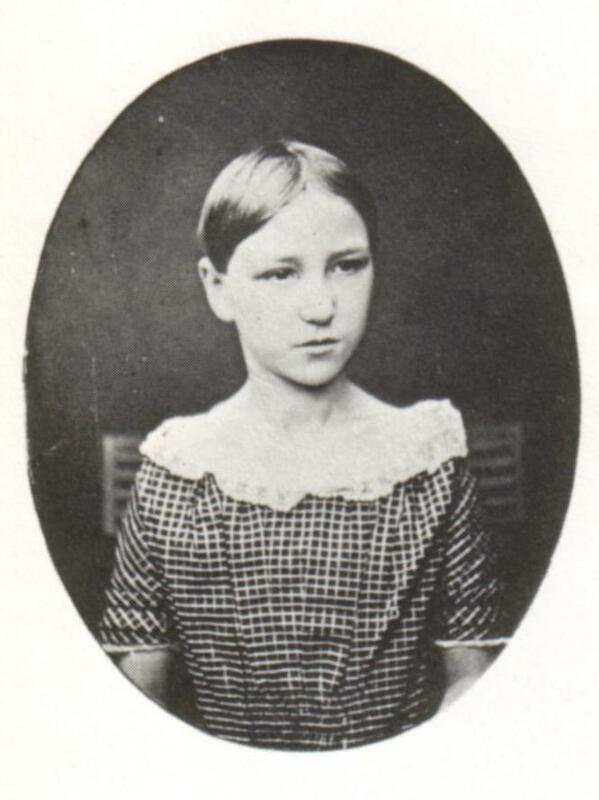 [LEFT] A daguerreotype of a young girl taken by John Craig at Saffron Walden, Essex, while on his journey through Kent and Essex in 1853. By January 1855, Mr Craig had reached Sussex, but his travels were brought to a halt when he died suddenly at Cuckfield on 31st January. Photography was occasionally used in to document details of buildings and institutions in Sussex. Churches were photographed before undergoing restoration and a pictorial record was often made before a building or structure was demolished or dismantled. In August 1855, two well-known photographers, Joseph Cundall (1818-1895) and Philip Henry Delamotte (1820-1889) of The Photographic Institute of London, were commissioned to take photographs of Sackville College, East Grinstead to support the title deeds of the College. Joseph Cundall also made portraits of the Warden of the College, the Reverend John Mason Neale (1818-1866), and members of his family. Both Cundall and Delamotte later exhibited a few of their photographs of Sackville College. Delamotte showed one photograph at the annual exhibition of the Photographic Society of London in 1856 and another at the Exhibition of Art Treasures in Manchester in 1857. A third photograph, entitled "Hall Door, Sackville College", was shown at the 1856 Exhibition organised by the Norwich Photographic Society. 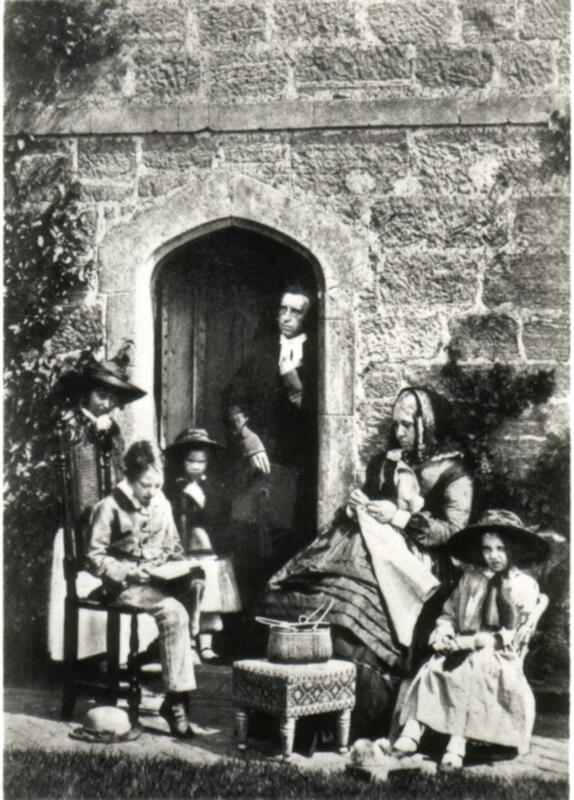 [RIGHT] A portrait the Reverend John Mason Neale with his family at Sackville College, East Grinstead. Collodion print by Joseph Cundall (1855). Joseph Cundall was born around 1818 in Norwich, Norfolk, the son of Eliza and Benjamin Cundall, a draper. He was apprenticed to a local printer, but in 1834 he moved down to London. Cundall established himself as a publisher and in 1852 founded The Photographic Institution at 168 New Bond Street, London. Members of Cundall's photographic firm included Philip Henry Delamotte, Robert Howlett (1831-1858) and George Downes. Joseph Cundall was a sponsor of the Society of Arts Photographic Exhibition of 1852 and was a founder member of the Photographic Society of London. Joseph Cundall is famous for his series of photographs showing the Construction of the Great Eastern ( 1854-1856 ) and his portraits of Crimean Heroes (1856). Delamotte's major work was photographic record of the Reconstruction of the Crystal Palace at Sydenham (1854). It was Cundall's associate Robert Howlett who made the famous portrait of Isambard Kingdom Brunel in front of the Great Eastern launching chains (1857). Edward Fox (1823-1899), a Landscape Photographer of 44 Market Street, Brighton, claimed in his advertisements that he had "given his whole attention to Out-Door Photography since 1851." Fox produced local views and stereoscopic slides of the surrounding area and offered to take "Private Photographic Views" in "Brighton or the Country". Edward Fox produced "Views for Architects, Engineers, and Arbitrators" and photographed the interiors and exteriors of many Sussex Churches. It is possible that Fox's photographic work took him to Mid Sussex. There is evidence that other established Brighton photographers travelled to other parts of the county. The Brighton Gazette of 2nd October 1856 reported that Mr Styles of 163 North Street Brighton was exhibiting views of East Grinstead recently taken by the collodion process by a "resident artist". In 1853, Robert Farmer (1823-1859), formerly a chemist and recently a successful photographic artist at North Street, Brighton, advertised that he was "now exhibiting to Amateurs and Ladies and Gentlemen interested in the art, his CALOTYPE views of the Pavilion, the Railway Terminus &c....also, his DAGUERREOTYPE views of the Pavilion, and of the Old Church previous to it being restored." Farmer was primarily a portrait photographer, but he obviously occasionally ventured out of the studio to take photographic views of Brighton. By 1859, Robert Farmer was venturing further afield. On 17th March, 1859, the Brighton Gazette reported that five days previously on the 12th, Robert Farmer, photographic artist of 59 North Street, Brighton had died at Burgess Hill at the age of thirty-six.